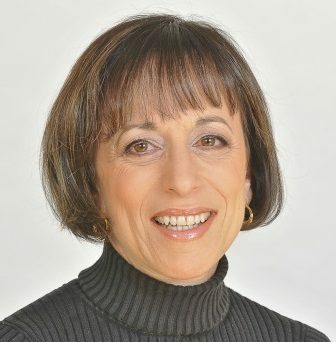 Liza Seltzer, is retired and was formerly Executive VP and COO at ACI Clinical, as well as its co-owner. Liza served in management positions in the pharmaceutical and public health spaces for over 25 years, including several years in Latin America. 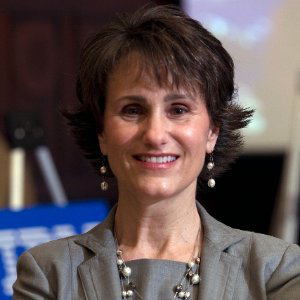 Liza was also a leader in the Quality arena, having served as Chief Judge for the Malcolm Baldrige National Quality Award, a Member of the Board of Overseers for the Baldrige Performance Excellence Program, and as a Board Member for the state-level Baldrige program, the Keystone Alliance for Performance Excellence. More recently, Liza joined the Board of Directors of the Rosenbach of the Free Library of Philadelphia and became a certified yoga instructor. She has a BA from Georgetown University and a MA in Law and Diplomacy from the Fletcher School at Tufts University. Liza has been a member of MCC’s Carnation Club for over 20 years, chaired the 2015 and 2016 Celebrating Mothers events, and currently serves as President of MCC’s Board of Directors. Arun Prabhakaran is the Chief of Staff for the Philadelphia District Attorney’s Office. Previously Arun was the Senior Vice President and Chief External Affairs Officer for the Urban Affairs Coalition. At UAC Arun oversaw UAC’s External Affairs work: development, new business, government relations, strategic partnerships, board development and relations, marketing and communications and community affairs. Arun’s previous professional experience includes Government Relations and Public Sector Sales for Solutions for a public policy IT firm. Arun founded the city’s first youth-oriented harm reduction drop-in center at the Youth Health Empowerment Project, serving homeless youth with substance abuse challenges. He has worked as an independent consultant to nonprofits, government, political candidates, and other institutions and has over a decade of grassroots organizing experience working to advance human rights and end poverty in the U.S. Currently, Arun serves in a leadership capacity on the following initiatives: National Network of Fiscal Sponsors, Steering Committee; Read by 4th, Advisory Committee; Entrepreneur Works, Board of Directors; and Philadelphia Works, Member of Research and Policy Committee. He is a Senior Advisor to Larry Krasner, Democratic Nominee for Philadelphia District Attorney, and to The Lafayette Practice, consortium of international professionals solving the complex problems that foundations and NGOs encounter. 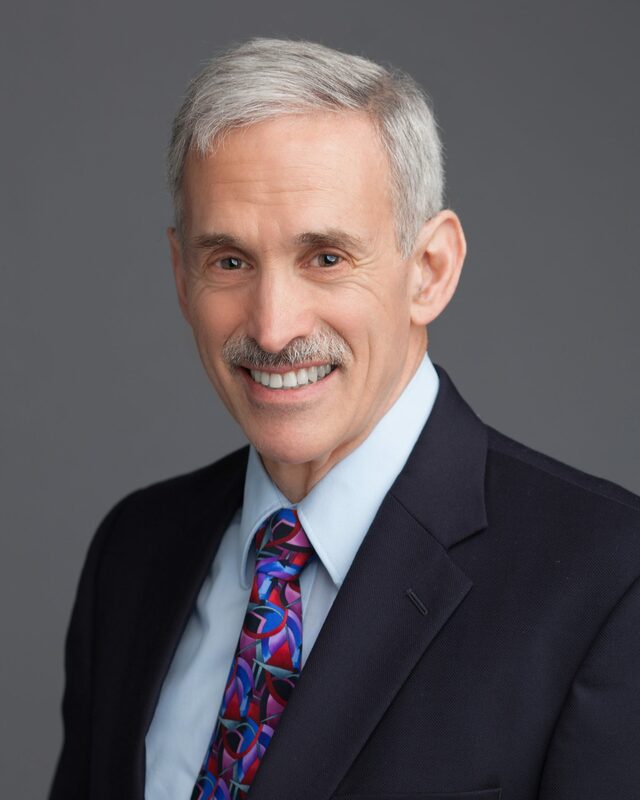 In addition to his service on the MCC Board of Directors, he is a former board member of the Bread and Roses Community Fund as well as a former Trustee of the Philadelphia Montessori Charter School. Arun holds a BA in Chemistry from Kent State University. Judith Faust is the Service Line Administrator and Clinical Director of Women and Children’s Services at Albert Einstein Health Care Network. Judy brings experience in information systems, marketing, staff development and new business development. Prior to her tenure at Einstein in 1997, Judy began her career as a registered nurse. Judy has served in the administration of Founders Health Care Inc. and Pennsylvania Hospital. She is currently a member of the Health Care Leadership Network of the Delaware Valley, the American College of Health Care Executives, and the American Organization of Nurse Executives. Saul Epstein is a business entrepreneur and has a career spanning over three decades in the corporate world. He is currently the CEO and owner of Leonard A Feinberg, Inc., an importer of women’s clothing based in Bensalem PA and New York City. Until recently, Saul was the CEO of Global Harness Systems which has locations in Texas, Pennsylvania, Michigan, Mexico and India. Previously he was a Principal with Opinion Research Corporation, Robinson Alarm Company and Crossway Ventures, Inc and Partner at Ernst and Young, LLP. Saul has also served in the military for the Army Security Agency, Reserve Unit. Saul is a Certified Financial Planner (CFP) , Certified Public Accountant (CPA) and a member of the Pennsylvania & New Jersey Bar. In addition to his professional experience, he has served on the boards of the Committee of Seventy and the Beth David Reform Congregation. Since 1999, Saul has been a loyal and long-standing member of MCC’s Finance Committee. Saul volunteers with Big Brothers/ Big Sisters Program. He is married to Roberta Epstein and has two adult children. 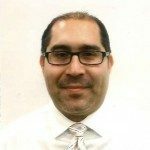 Ismael Alvarez Jr., is the Division Director of Center Based Services at Children’s Crisis Treatment Center (CCTC). A graduate of Temple University’s Counseling Psychology Program, he is a Licensed Professional Counselor with over 10 years of experience working in non-profit mental health settings, serving children and adolescents with emotional/behavioral problems along with their families. In his current position, he manages the daily functioning of four programs (Outpatient, Trauma, Therapeutic Nursery, Acute Partial, and Parent/Caregiver Services,) at CCTC. Mr. Alvarez’s commitment to his own development as a clinician and supervisor makes him a well- informed, compassionate Director, who manages to keep hope springing eternally in a very challenging environment. 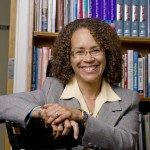 Darlyne Bailey is a Professor and Dean Emeritus at the Graduate School of Social Work and Social Research at Bryn Mawr College, where she where she is the founder and director of the Social Justice Initiative and is the Special Assistant to the President for Community Partnerships. She has been a professor and academic administrator for close to 25 years after serving as an administrator of a community mental health agency. Darlyne is on several professional editorial boards and other local and national organizational boards and advisory committees, including the Center for the Advancement of Girls at the Agnes Irwin School, the National Human Services Assembly, and the Suzanne and Richard Pieper Family Foundation. 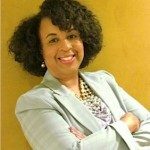 She has written numerous articles and book chapters, and joined with others in authoring three books including Sustaining Our Spirits: Women Leaders Thriving for Today and Tomorrow. With a commitment to life- long learning through collaboration, Darlyne continues teaching and engaging in participatory research to explore her areas of passion: personal and agency- based leadership development, organizational, inter-organizational, and community transformation, and the formation and sustainability of socially-just societies. Megan Knowlton Balne is an attorney at Hyland Levin where she focuses on commercial litigation. She clerked for the Honorable Jerome B. Simandle, Chief U.S. District Judge for the District of New Jersey and for the Honorable Ronald E. Bookbinder, Assignment Judge of the New Jersey Superior Court for Burlington County. Megan is a graduate of Ramapo College and Rutgers University School of Law-Camden. She won the award for Outstanding Scholarship from the New Jersey Women and Gender Studies Consortium and was awarded a fellowship from the Gilder Lehrman Institute of American History. At Rutgers, Megan was Editor-in-Chief of the Rutgers Journal of Law and Religion and represented victims of domestic violence. Megan also has a passion for the arts and is an active Community Theater and regularly participates as an actor, director or stage manager in different productions. Megan lives in Somerdale, New Jersey with her husband, Tommy, her vivacious three-year-old son, Sammy and her newborn twins Abigail and Lillian. Megan is a graduate of the United Way Board Leadership program and serves on MCC’s Corporate Advisory Committee. Keith Daviston is the Chief Financial Officer for the Philadelphia District Attorney’s Office. Keith is a seasoned finance veteran with more than 25 years of both for-profit and non-profit experience. Currently, Keith is the Chief Financial Officer of Arbill Industries Inc. Arbill is a leading manufacturer and distributor of industrial safety products, and a provider of safety consulting and training services. Previously Daviston served as the Senior Executive Vice President and Chief Financial Officer for the Philadelphia Housing Authority. 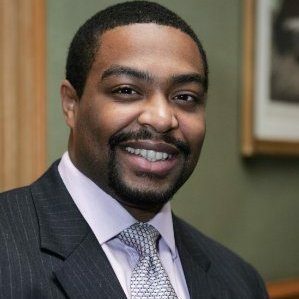 Daviston also served as CFO of the Urban Affairs Coalition and has worked for more than a decade in various management roles in banking, including positions with MBNA and Bank of America. Daviston has also held senior roles in the manufacturing, and energy sectors. Daviston attained the rank of Major (retired) in the Delaware National Guard and is a Certified Public Accountant. He currently serves on the Board of Trustees of Peirce College in Philadelphia and as the Audit Chair of East Side Charter School in Wilmington, Delaware. He is a graduate of Slippery Rock University with a BS in Accounting. 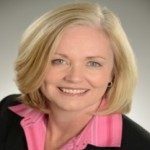 Lisa Farnin is an accomplished marketing professional, project manager, and program manager with more than 25 years of experience in the areas of systems integration, consulting, sales, marketing and corporate citizenship with IBM and Ford Motor Company. Lisa has been recognized locally and nationally for her leadership in team building, negotiating, problem solving, and service. She has served on a number of nonprofit boards and has experience with startups, mergers, and much in between. Lisa is a 20+ year breast cancer survivor, diagnosed when pregnant with her second child. She has a BS in Engineering from Lehigh University and an MS in Computer Science from Villanova University. Lisa resides in Bucks County, PA with her husband and two college age children. Katherine Foy is the Senior Vice President of Quality, Compliance and Risk at Robins’ Nest in Glassboro, New Jersey. Katherine inspires a culture of continuous quality improvement and excellence with the context of integrated healthcare and population health. She safeguards operational and related activities through the development of robust policies and procedures that ensure legal, ethical and proper conduct. Prior to joining Robins’ Nest, Katherine was the Director of Compliance and Consumer Risk for the Public Health Management Corporation (PHMC). Katherine led the internal processes for proactively identifying, evaluating, mitigating and reporting on compliance and risks across the corporation. In addition, Katherine served as a Federal Project Officer/Program Specialist with the United States Department of Health and Human Services. She monitored and oversaw more than $60 million for Head Start programs; offered expertise on federal rules and regulations; directed teams in defining risk assessment processes for federal, state, and local compliance; and educated board members and senior management on fiscal oversight and program governance requirements. Professionally and philanthropically, Katherine has more than 25 years of experience in social services, economic empowerment, and education. She received a M.S.W. from the University of Pennsylvania School of Social Work and a B.A. in Criminal Justice with a minor in Political Science from Temple University. Stacey Helmers is the mother of three girls and democratic committeeperson for Lower Merion Township. Stacey currently serves on the Board of Lafayette College’s Friends of Skillman Library, and is a longstanding member of MCC’s Children’s Brunch Event Committee. Stacey is a preschool teacher at the Phebe Anna Thorne School. She holds a Master’s degree in Government Administration from the University of Pennsylvania, where she received the Liberty Bell Award for Outstanding Service to Philadelphia. She has previously served as Director of Public Policy at the Greater Philadelphia Cultural Alliance, and Senior Legislative Aide to Philadelphia City Councilwoman Joan Specter, whose 1992 campaign fundraising efforts Stacey coordinated. Katayun Jaffari is partner in the Business and Finance Department of Ballard Spahr, LLP in Philadelphia. She advises directors regarding general corporate matters, securities and corporate governance. Kathy is active in community organizations and currently serves as Vice Chair of the Awareness and Advisory Committee of the Scleroderma Foundation of the Delaware Valley. She is Vice-Chair of the Philadelphia Bar Association’s Business Law Section and Vice-Chair of the Section’s Securities Regulation Committee. Kathy is Co-Chair of the Governance and Sustainability Subcommittee of the Corporate Governance and Federal Regulation of Securities Committees of the American Bar Association. As a member of the Forum of Executive Women, she chairs the board education series. She is also Special Corporate Counsel to DirectWomen. Kathy is an adjunct professor at Temple University and a member of Beta Gamma Sigma, the international business honors society. Kathy has been named one of Pennsylvania’s “Super Lawyers” for securities and corporate finance. 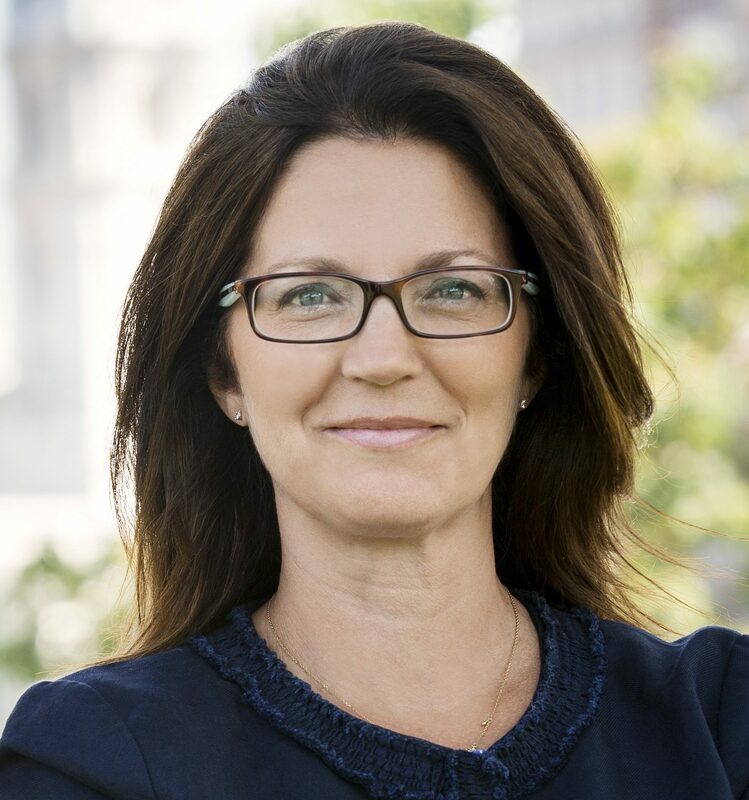 Her other honors include being named as Committee Chair of the Year by the Philadelphia Bar Association’s Business Law Section, SmartCEO‘s Legal Elite list, one of Philadelphia’s “40 Under 40″by Philadelphia Business Journal, and one of Pennsylvania’s “Lawyers on the Fast Track,” by American Lawyer Media. Ana Lopez is a strategic marketing and business development executive who has worked with Fortune 100 companies and nonprofits to define new growth strategies, develop marketing programs and align business goals with the needs of consumers and other stakeholders. She has deep expertise with high- growth consumer markets, including Women, Multicultural and Millennial markets. Throughout her career, Ana has also had a strong focus on using emerging digital technologies to drive consumer engagement. As Vice President, Direct Channels with TD Bank Group, Ana played an instrumental role in driving the launch and adoption of new digital capabilities, such as Mobile Deposit. Previously, she was Senior Vice President, Strategic Planning with Wells Fargo, where she developed business and marketing strategies to drive growth and financial accessibility across key consumer segments. Ana spearheaded the Bank’s first enterprise Hispanic strategy, which was leveraged throughout the organization to better meet the needs of the segment and drive new retail growth. 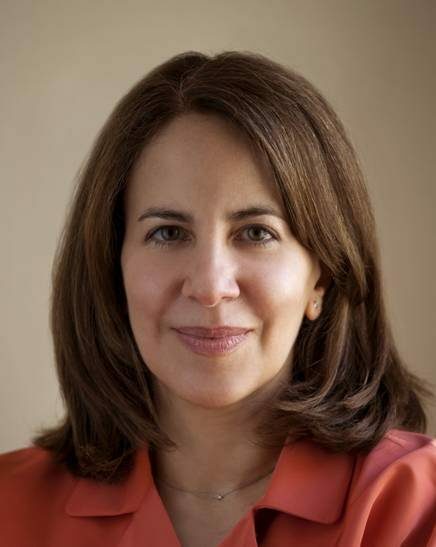 Prior to joining Wells Fargo, Ana was a Senior Vice President with Bank of America, where she managed the P&L of the Hispanic savings business, and led the overall strategy and execution for Multicultural consumer markets, driving customized product and brand development, channel enhancements, community relationships, and marketing programs, and launching a Spanish language website. Ana holds BS and MBA degrees from Columbia University and MS and JD degrees from Georgetown University. She was admitted to the Bar in New York. Ana has been involved with nonprofits through board memberships, skills-based volunteer roles, and consulting engagements, working on strategic planning, branding, marketing communications, development and strategic partnerships. She has served on the Board of Trustees of the Latino Community Foundation in San Francisco, and on the Board of Directors of the Women’s Institute for Housing and Economic Development in Boston. She was drawn to the Maternity Care Coalition’s mission due to her longstanding interest in working with organizations committed to improving the lives of women and children. Randy Mintz- Presant Randy Mintz Presant is director of public affairs for the Gift of Life Donor Program, a world leader in promoting life-saving organ transplantation. As part of the senior management team, Randy oversees outreach and education initiatives. Her background includes holding senior leadership positions in top communications and health care organizations, and leading marketing communications programs for major companies such as AstraZeneca, Cigna, Dun & Bradstreet, and IBM. Randy started her career in journalism, writing for national publications such as Cosmopolitan, Family Circle and The Washington Post. She and her family are longtime residents of Philadelphia’s Bella Vista neighborhood, and she has served on numerous committees for area parks and schools, as well as organizations such as the Public Citizens for Children and Youth and the National MS Society. She holds a bachelor’s degree in communications from Syracuse University and a master’s degree in marketing communications from Temple University. 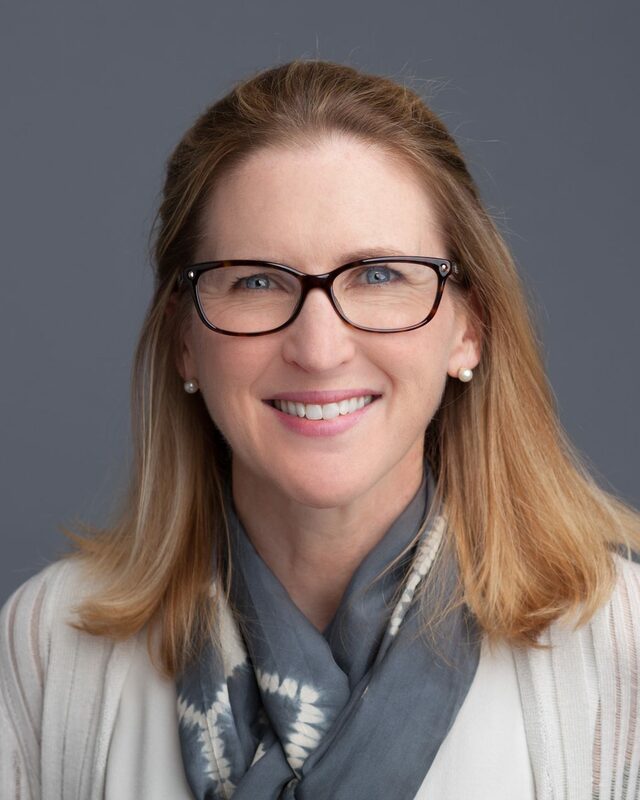 Randy is in her second term on the Maternity Care Coalition Board; her tenure includes serving on the Strategic Planning, Celebrating Mothers Event, and Cooperate Advisory, Fund Development and Marketing committees. Chinwe Onyekere is the Associate Administrator at Lankenau Medical Center and System Administrator for Graduate Medical Education for Main Line Health. 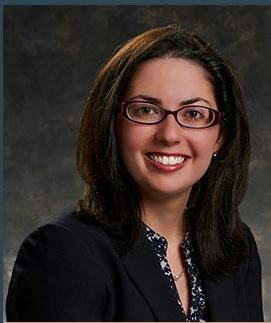 She is responsible for implementing innovative models for primary care medicine at Lankenau Medical Associates and Lankenau Obstetrics and Gynecology Care Center, overseeing the financial graduate medical enterprise, as well as building relationships with community-based organizations in the Philadelphia area. In a prior position as a Program Officer at the Robert Wood Johnson Foundation, she focused on reducing health care disparities, reversing the childhood obesity epidemic, and identifying innovative ideas for breakthroughs in health and health care. Ms. Onyekere has also served as the Executive Director for Health Leads New York, where she established a new model of health care delivery in which patients’ unmet resource needs are addressed as a standard element of patient care.Ms. 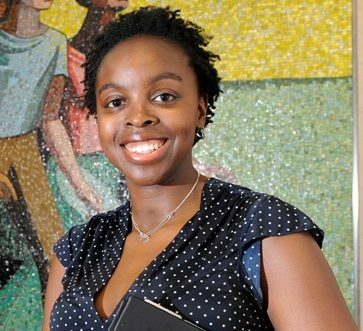 Onyekere received her Master of Public Health at Columbia University’s Mailman School of Public Health, a Certificate in Business Essentials from Wharton School of Business at University of Pennsylvania, and her undergraduate degree from Wellesley College. Ms. Onyekere was nominated and awarded the 2015 Forum Award for Emerging Women Leaders by The Forum of Executive Women. Christine Reimert is a Senior Vice President at Devine + Partners. With more than 25 years of public relations experience in both corporate and agency environments, Christine brings her clients significant experience in public relations, issues management, media training, and social media. Her assignments have ranged from new product launches, special events, employee relations, community engagement and donor/funder outreach to managing leadership change, labor issues and other messaging for organizations in crisis. Christine has provided guidance and counsel to clients across a diverse range of industry categories – higher ed, not-for-profit, financial services, manufacturing, environmental, consumer and sports – and varied organizational structures – Fortune 500s, entrepreneurial start-ups, community-based non-profits and professional service firms. A sample of her client roster includes the Mann Center for the Performing Arts, Comcast-Spectacor, the University of the Arts and Peapod.com. Prior to joining Devine + Partners, Christine offered her services as an independent communications and media training consultant. Previously she was vice president with Tierney Communications, where she was responsible for some of the agency’s marquee accounts. Christine holds a bachelor’s degree in journalism from the University of Maryland College Park. Mona Sarfaty is a family physician and is currently the Director of the Program on Climate and Health at the Center for Climate Change Communication at George Mason University. Prior to this, she was a Professor at Jefferson Medical College, in the Department of Family and Community Medicine with a joint appointment in the Jefferson School of Population Health. A former faculty of George Washington University Medical Center, Mona worked in a Maryland prenatal clinic. For seven years, Dr. Sarfaty served as Senior Health Policy Advisor/Associate Director for Health Policy for the Senate Health Committee chaired by Senator Edward M. Kennedy, and contributed to the original extensions of Medicaid for pregnant women and infants. 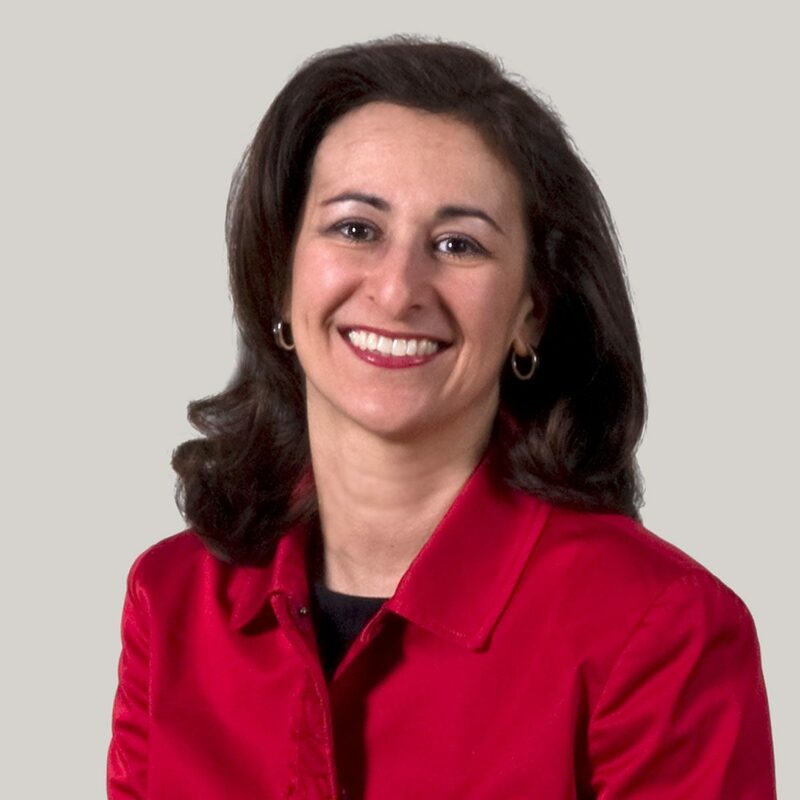 Mona is currently an executive committee member with the Public Health Section of the College of Physicians and Immediate Past Chair of the American Public Health Association Medical Care Section. Mary Pat Sherry is Director of Market Development for the AmeriHealth Caritas Family of Companies. In this role she is responsible for new business opportunities and the development of key stakeholder relationships nationally. In her previous role as Director of Corporate Public Relations she led the implementation of grassroots and associate advocacy campaigns and supported the corporate marketing strategy through community development initiatives. She joined AmeriHealth Caritas in October, 2007. Her career began as a health educator for the American Cancer Society where she was responsible for the development and facilitation of cancer awareness and prevention programs for schools, hospitals and community groups. Mary Pat serves on Maternity Care Coalition’s Early Head Start Board Committee (EHSBC). She holds a Bachelor of Science degree in Public Health from West Chester University. Bonnie Shuman has 30 years of experience in management and handling corporate governance and Board matters. She retired from Siemens Medical Solutions Health Services in 2008, where she was responsible for all legal affairs of the company. Prior to her work as a corporate lawyer, she received her B.A. in Child Development and M.A. in Education, and taught Head Start. Bonnie has served on several Boards, serving as Chair to the Delaware Valley Chapter of the American Corporate Counsel Association and DuPortail House, Inc. She is currently on the Board of Main Line School Night. Bonnie chairs MCC’s Early Head Start Board Committee. Charmaine Smith Wright is enjoying her three children Lydia, Luke and Logan. She has spearheaded MCC’s maternal obesity project, conducted training for staff on protocol development, statistical methodology, nutrition and obesity, and worked with MCC to improve nutrition for incarcerated women in Philadelphia. A past Robert Wood Johnson Clinical Scholar and current Assistant Professor in General Internal Medicine at UPenn, Charmaine graduated from Harvard College and Medical School and is board certified in both internal medicine and pediatrics. Charmaine recently was selected one of the “Best 40 under 40” out of 7,000 graduates of Carmel Catholic High School, Mundelein, IL. She is currently a member of Massachusetts Medical Society, American Academy of Pediatrics, and the Society of General Internal Medicine. Her research interests include maternal-child health, nutrition, obesity and pregnancy. Her work has been published in the American Journal of Hypertension, Maternal Child Health Journal, and Journal of Healthcare for the Poor and Underserved. Nakia Stith, at the age of 22 assumed a leadership role at Top of the Clock Inc., a West Philadelphia-based security and protection services firm started by her father in 1991. Nakia immediately led the company through a sweeping turnaround taking the company from near bankruptcy to profitability with consistent annual growth. Ever focused on pioneering new paradigms, in 2011 Nakia launched ResilienC – an innovative and socially conscious firm that addresses the security, safety, and public health of urban communities holistically. She has pioneered a new approach to safe environments that makes it easier to establish trust and cooperation in facilities, schools, and communities. Her goal is to create a higher level of consciousness around security, safety, and public health issues – one that challenges and influences policies and procedures to improve lives. 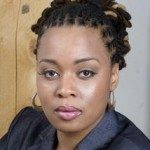 Nakia is an avid supporter of traditional prenatal healthcare and education; she empowers women and families to take control of their pre-natal and childbirth experiences by serving as a doula and childbirth educator. Omar Woodard chairs MCC’s Public Policy Committee. He is also a Head Start alumnus. He is a philanthropic adviser with a decade of experience working across the government, business, and nonprofit sectors. Previously, he was policy director to State Senator Anthony Williams, where he developed his citywide healthcare strategy. Before that, he was principal at Venture Philanthropy Partners, a philanthropic investment firm with investments in federally qualified health centers. Earlier in his career, he advocated on behalf of healthcare legislation in the U.S. Congress, and represented healthcare and pharmaceutical clients as a federal lobbyist and as a management consultant. Omar serves on several local and national boards, including the African American Chamber of Commerce of PA, the Girard College Foundation, and the Hispanic Heritage Foundation. Omar received a bachelor of arts in international economics and public policy and a master’s degree in nonprofit management from The George Washington University. He also completed executive education at Harvard Business School in nonprofit governance. Omar resides in the Germantown section of Philadelphia. Victoria Zellers is currently the Chair of MCC’s Human Resources Committee. She is General Counsel at Community College of Philadelphia. Victoria earned her undergraduate degree from James Madison University and her law degree from Temple University Beasley School of Law. Victoria lives in Philadelphia’s Fairmount neighborhood.